The solubility of this compound in sterile water is 100 mM. General tips for obtaining a higher concentration: Please warm the tube at 37 ℃ for 10 minutes and/or shake it in the ultrasonic bath for a while. Stock solution can be stored below -20℃ for several months. Fostriecin is an inhibitor of topoisomerase II. 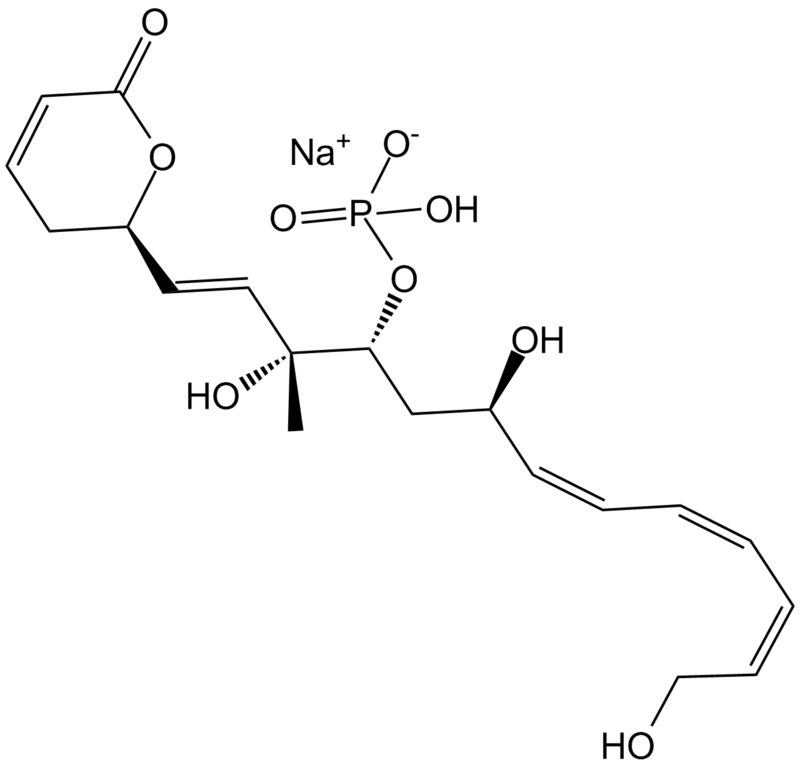 It blocks an early step in the reaction and does not accumulate broken DNA intermediates. Fostriecin causes a strong but delayed inhibition of DNA synthesis in human Hela cells. B6D2F1 mice with subcutaneous Colon 38 tumours. When administered as a single dose, fostriecin caused extensive necrosis of tumours after 24 h and induced significant delays in the growth of advanced subcutaneous tumours by at least 10 days. IC50: Inhibit protein phosphatase types 2A (PP2A) and 4 (PP4) intensively with an IC50 of 1.5 nM and 3 nM respectively. Inhibit topoisomerase II (Topo II) and protein phosphatase type 1 (PP1) slightly with an IC50 of 40 μM and 131 μM respectively.